Have you seen the new ASK THE EXPERT! Feature in Flower Mound Family Online Guide? Yours truly is featured! **Submit a Question to one of our Experts by February 13th, and you will be entered for a drawing to win a $75 Maid Service Gift Card from Buckets & Bows Maid Service, $50 Gift Certificate to Shelly’s Advanced Skin Care or 1 of 5 Certificates for a Free Appetizer at Fish City Grill! Drawing to be held on Valentine’s Day. Click Here to See All the Experts! President, Buckets & Bows Maid ServiceDebbie Sardone, President of Buckets & Bows Maid Service for over 30 years, has seen it all when it comes to the dreaded chore of cleaning house! She’s trained hundreds of employees to professionally clean a home in the least amount of time possible with maximum results. Now a popular speaker, author, and business consultant, Debbie helps other business owners all over the country grow and improve their service business. She owns four successful businesses and is about to acquire her fifth business. Ask Debbie any cleaning or business coaching question and we are sure she will deliver a fabulous solution! Q. What’s the best way to clean greasy finger prints and smudges from my stainless steel refrigerator? Q. I recently replaced my old blinds with new 2″ wooden blinds. How do I keep them clean? Q. I’ve been running my business for a while now and sales are just flat. What advice can you give me to grow my customer base with limited marketing dollars? Q. I need to make some business purchases in order to grow but I don’t have the funds. Should I put the purchases on a credit card and hope the business grows faster than my debt? Q. What should I use to mop my ceramic tile floors? Mine always feel sticky when I’m done. Q. What’s the best way to clean greasy finger prints and grimy smudges from the front of my stainless steel refrigerator? Glass cleaner doesn’t work very well. For best results use stainless steel cleaner (aerosol can, found in the cleaning section of most grocery stores). It works really well and requires a lot less “elbow grease” to make your stainless shine like new. A substitute cleaner would be lemon oil and a soft cloth, always running in the direction of the grain. Q. I recently replaced my old, dusty, warped blinds with new 2” wooden blinds. How do I keep them clean? Simple, just purchase a lambs-wool duster on a 12” stick and dust it over the slats once a week while cleaning the room. It only takes a few seconds to start at the top, run your duster gently back and forth working your way down, to keep them from getting all dusty and neglected again. If sales are flat, increase your marketing. If money is tight, invest in “shoe-leather marketing” (networking, expos & tradeshows, charitable events, volunteering, etc.) The key to growing your flat sales is to increase your marketing efforts. Email marketing is a low-cost, high yield medium that works if you’ve been diligent about asking for emails when clients inquire about your products or services. Q. I need to make some business purchases in order to grow but I don’t have the funds. Should I put the purchases on a credit card and hope the business grows faster than my debt?Funding your business with credit card debt is a very expensive way to grow a business because the interest charges can be very high. Consider a line of credit and negotiate a low interest rate, or learn to barter for the goods and services you need to grow your business like advertising remnant space, printing, sign making, etc. My book BARTERNOMICS teaches cash-strapped business owners how to grow their business using barter instead of debt. Q. Debbie, what should I use to mop my ceramic tile floors? Mine always feel sticky when I’m done?Warm water and a very, very small amount of all purpose cleaner in the water is the key to not leaving a sticky film. Too much product in the water will leave the floor filmy. Also warm water and a light sprits of glass cleaner works well. The key to a streak-free floor is less cleaning products and more warm water! 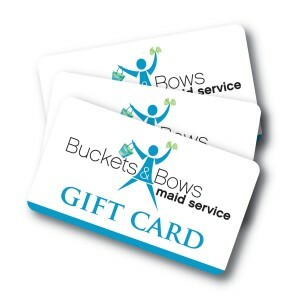 Treat Yourself to Maid Service with 1/3 Off Your First Cleaning. You Deserve it! Quality Maid Service in Flower Mound, Highland Village, Double Oak and Lantana. *All questions submitted to FlowerMoundFamily.com’s Ask-the-Expert Feature will be anonymously submitted to the appropriate Expert. Once we receive your answer we will email you and post the question and answer anonymously on the appropriate FlowerMoundFamily.com Expert webpage. All answers are generated by the above listed expert and are solely intended for informational and/or entertainment purposes only and do not necessarily reflect the beliefs and/or opinions of FlowerMoundFamily.com and its staff.